Isolated in worlds of their own, people with autism appear indifferent and remote and are unable to form emotional bonds with others. Although people with this baffling brain disorder can display a wide range of symptoms and disability, many are incapable of understanding other people's thoughts, feelings, and needs. Often, language and intelligence fail to develop fully, making communication and social relationships difficult. Many people with autism engage in repetitive activities, like rocking or banging their heads, or rigidly following familiar patterns in their everyday routines. Some are painfully sensitive to sound, touch, sight, or smell. But there is help-and hope. Gone are the days when people with autism were isolated, typically sent away to institutions. Today, many youngsters can be helped to attend school with other children. Methods are available to help improve their social, language, and academic skills. Even though more than 60 percent of adults with autism continue to need care throughout their lives, some programs are beginning to demonstrate that with appropriate support, many people with autism can be trained to do meaningful work and participate in the life of the community. Autism is found in every country and region of the world, and in families of all racial, ethnic, religious, and economic backgrounds. Emerging in childhood, it affects about 1 or 2 people in every thousand and is three to four times more common in boys than girls. Girls with the disorder, however, tend to have more severe symptoms and lower intelligence. In addition to loss of personal potential, the cost of health and educational services to those affected exceeds $3 billion each year. So, at some level, autism affects us all. Autism is a brain disorder that typically affects a person's ability to communicate, form relationships with others, and respond appropriately to the environment. Some people with autism are relatively high-functioning, with speech and intelligence intact. Others are mentally retarded, mute, or have serious language delays. For some, autism makes them seem closed off and shut down; others seem locked into repetitive behaviors and rigid patterns of thinking. 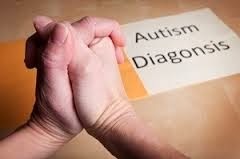 Although people with autism do not have exactly the same symptoms and deficits, they tend to share certain social, communication, motor, and sensory problems that affect their behavior in predictable ways. NOTE: This list is not intended to be used to assess whether a particular person has child autism. Diagnosis should only be done by a specialist using highly detailed background information and behavioral observations. It is generally accepted that autism is caused by abnormalities in brain structures or functions. Using a variety of new research tools to study human and animal brain growth, scientists are discovering more about normal development and how abnormalities occur. The brain of a fetus develops throughout pregnancy. Starting out with a few cells, the cells grow and divide until the brain contains billions of specialized cells, called neurons. Research sponsored by NIMH and other components at the National Institutes of Health is playing a key role in showing how cells find their way to a specific area of the brain and take on special functions. Once in place, each neuron sends out long fibers that connect with other neurons. In this way, lines of communication are established between various areas of the brain and between the brain and the rest of the body. As each neuron receives a signal it releases chemicals called neurotransmitters, which pass the signal to the next neuron. By birth, the brain has evolved into a complex organ with several distinct regions and subregions, each with a precise set of functions and responsibilities. But brain development does not stop at birth. The brain continues to change during the first few years of life, as new neurotransmitters become activated and additional lines of communication are established. Neural networks are forming and creating a foundation for processing language, emotions, and thought. However, scientists now know that a number of problems may interfere with normal brain development. Cells may migrate to the wrong place in the brain. Or, due to problems with the neural pathways or the neurotransmitters, some parts of the communication network may fail to perform. A problem with the communication network may interfere with the overall task of coordinating sensory information, thoughts, feelings, and actions. Researchers supported by NIMH and other NIH Institutes are scrutinizing the structures and functions of the brain for clues as to how a brain with autism differs from the normal brain. In one line of study, researchers are investigating potential defects that occur during initial brain development. Other researchers are looking for defects in the brains of people already known to have autism. Scientists are also looking for abnormalities in the brain structures that make up the limbic system. Inside the limbic system, an area called the amygdala is known to help regulate aspects of social and emotional behavior. One study of high-functioning children with autism found that the amygdala was indeed impaired but that another area of the brain, the hippocampus, was not. In another study, scientists followed the development of monkeys whose amygdala was disrupted at birth. Like children with autism, as the monkeys grew, they became increasingly withdrawn and avoided social contact. Differences in neurotransmitters, the chemical messengers of the nervous system, are also being explored. For example, high levels of the neurotransmitter serotonin have been found in a number of people with autism. Since neurotransmitters are responsible for passing nerve impulses in the brain and nervous systme, it is possible that they are involved in the distortion of sensations that accompanies autism. NIMH grantees are also exploring differences in overall brain function, using a technology called magnetic resonance imaging (MRI) to identify which parts of the brain are energized during specific mental tasks. In a study of adolescent boys, NIMH researchers observed that during problem-solving and language tasks, teenagers with autism were not only less successful than peers without autism, but the MRI images of their brains showed less activity. In a study of younger children, researcers observed low levels of activity in the parietal areas and the corpus callosum. Such research may help scientists determine whether autism reflects a problem with specific areas of the brain or with the transmission of signals from one part of the brain to another. Each of these differences has been seen in some but not all the people with autism who were tested. What could this mean? Perhaps the term autism actually covers several different disorders, each caused by a different problem in the brain. Or perhaps the various brain differences are themselves caused by a single underlying disorder that scientists have not yet identified. Discovering the physical basis of autism should someday allow us to better identify, treat, and possibly prevent it. But what causes normal brain development to go awry? Some NIMH researchers are investigating genetic causes-the role that heredity and genes play in passing the disorder from one generation to the next. Others are looking at medical problems related to pregnancy and other factors. Heredity. Several studies of twins suggest that autism- or at least a higher likelihood of some brain dysfunction-can be inherited. For example, identical twins are far more likely than fraternal twins to both have autism. Unlike fraternal twins, which develop from two separate eggs, identical twins develop from a single egg and have the same genetic makeup. It appears that parents who have one child with autism are at slightly increased risk for having more than one child with autism. This also suggests a genetic link. However, autism does not appear to be due to one particular gene. If autism, like eye color, were passed along by a single gene, more family members would inherit the disorder. NIMH grantees, using state-of-the-art gene splicing techniques, are searching for irregular segments of genetic code that the autistic members of a family may have inherited. Some scientists believe that what is inherited is an irregular segment of genetic code or a small cluster of three to six unstable genes. In most people, the faulty code may cause only minor problems. But under certain conditions, the unstable genes may interact and seriously interfere with the brain development of the unborn child. A body of NIMH-sponsored research is testing this theory. One study is exploring whether parents and siblings who do not have autism show minor autism symptoms, such as mild social, language, or reading problems. If so, such findings would suggest that several members of a family can inherit the irregular or unstable genes, but that other as yet unidentified conditions must be present for the full-blown disorder to develop. Pregnancy and other problems. Throughout pregnancy, the fetal brain is growing larger and more complex, as new cells, specialized regions, and communication networks form. During this time, anything that disrupts normal brain development may have lifelong effects on the child's sensory, language, social, and mental functioning. For this reason, researchers are exploring whether certain conditions, like the mother's health during pregnancy, problems during delivery, or other environmental factors may interfere with normal brain development. Viral infections like rubella (also called German measles), particularly in the first three months of pregnancy, may lead to a variety of problems, possibly including autism and retardation. Lack of oxygen to the baby and other complications of delivery may also increase the risk of autism. However, there is no clear link. Such problems occur in the delivery of many infants who are not autistic, and most children with autism are born without such factors. Parents are usually the first to notice unusual behaviors in their child. In many cases, their baby seemed "different" from birth-being unresponsive to people and toys, or focusing intently on one item for long periods of time. The first signs of autism may also appear in children who had been developing normally. When an affectionate, babbling toddler suddenly becomes silent, withdrawn, violent, or self-abusive, something is wrong. Even so, years may go by before the family seeks a diagnosis. Well-meaning friends and relatives sometimes help parents ignore the problems with reassurances that "Every child is different,". Unfortunately, this only delays getting appropriate assessment and treatment for the child. From the start, most infants are social beings. Early in life, they gaze at people, turn toward voices, endearingly grasp a finger, and even smile. In contrast, most children with autism seem to have tremendous difficulty learning to engage in the give-and-take of everyday human interaction. Even in the first few months of life, many do not interact and they avoid eye contact. They seem to prefer being alone. They may resist attention and affection or passively accept hugs and cuddling. Later, they seldom seek comfort or respond to anger or affection. Unlike other children, they rarely become upset when the parent leaves or show pleasure when the parent returns. Illustration of smiling mother, extending her arms for a hug. Parents who looked forward to the joys of cuddling, teaching, and playing with their child may feel crushed by this lack of response. Children with autism also take longer to learn to interpret what others are thinking and feeling. Subtle social cues-whether a smile, a wink, or a grimace-may have little meaning. To a child who misses these cues, "Come here," always means the same thing, whether the speaker is smiling and extending her arms for a hug or squinting and planting her fists on her hips. Without the ability to interpret gestures and facial expressions, the social world may seem bewildering. To compound the problem, people with autism have problems seeing things from another person's perspective. Most 5-year-olds understand that other people have different information, feelings, and goals than they have. A person with autism may lack such understanding. This inability leaves them unable to predict or understand other people's actions. Some people with autism also tend to be physically aggressive at times, making social relationships still more difficult. Some lose control, particularly when they're in a strange or overwhelming environment, or when angry and frustrated. They are capable at times of breaking things, attacking others, or harming themselves. Others are self-destructive, banging their heads, pulling their hair, or biting their arms. By age 3, most children have passed several predictable milestones on the path to learning language. One of the earliest is babbling. By the first birthday, a typical toddler says words, turns when he hears his name, points when he wants a toy, and when offered something distasteful, makes it very clear that his answer is no. By age 2, most children begin to put together sentences like "See doggie," or "More cookie," and can follow simple directions. Research shows that about half of the children diagnosed with autism remain mute throughout their lives. Some infants who later show signs of autism do coo and babble during the first 6 months of life. But they soon stop. Although they may learn to communicate using sign language or special electronic equipment, they may never speak. Others may be delayed, developing language as late as age 5 to 8. Those who do speak often use language in unusual ways. Some seem unable to combine words into meaningful sentences. Some speak only single words. Others repeat the same phrase no matter what the situation. Some children with autism are only able to parrot what they hear, a condition called echolalia. Without persistent training, echoing other people's phrases may be the only language that people with autism ever acquire. What they repeat might be a question they were just asked, or an advertisement on television. Or out of the blue, a child may shout, "Stay on your own side of the road! "-something he heard his father say weeks before. Although children without autism go through a stage where they repeat what they hear, it normally passes by the time they are 3. People with autism also tend to confuse pronouns. They fail to grasp that words like "my," "I," and "you," change meaning depending on who is speaking. Some children say the same phrase in a variety of different situations. One child, for example, says "Get in the car," at random times throughout the day. While on the surface, her statement seems bizarre, there may be a meaningful pattern in what the child says. The child may be saying, "Get in the car," whenever she wants to go outdoors. In her own mind, she's associated "Get in the car," with leaving the house. Another child, who says "Milk and cookies" whenever he is pleased, may be associating his good feelings around this treat with other things that give him pleasure. It can be equally difficult to understand the body language of a person with autism. Most of us smile when we talk about things we enjoy, or shrug when we can't answer a question. But for children with autism, facial expressions, movements, and gestures rarely match what they are saying. Their tone of voice also fails to reflect their feelings. A high-pitched, sing-song, or flat, robot-like voice is common. Without meaningful gestures or the language to ask for things, people with autism are at a loss to let others know what they need. As a result, children with autism may simply scream or grab what they want. Temple Grandin, an exceptional woman with autism who has written two books about her disorder, admits, "Not being able to speak was utter frustration. Screaming was the only way I could communicate." Often she would logically think to herself, "I am going to scream now because I want to tell somebody I don't want to do something." Until they are taught better means of expressing their needs, people with autism do whatever they can to get through to others. Although children with autism usually appear physically normal and have good muscle control, odd repetitive motions may set them off from other children. A child might spend hours repeatedly flicking or flapping her fingers or rocking back and forth. Many flail their arms or walk on their toes. Some suddenly freeze in position. Experts call such behaviors stereotypies or self-stimulation. Some people with autism also tend to repeat certain actions over and over. A child might spend hours lining up pretzel sticks. 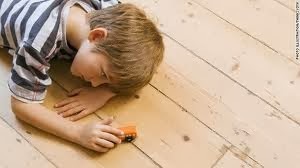 Some children with autism develop troublesome fixations with specific objects, which can lead to unhealthy or dangerous behaviors. For example, one child insists on carrying feces from the bathroom into her classroom. Illustration of a young girl with arms bent at elbows, limp wrists, and hands out to sides. Other behaviors are simply startling, humorous, or embarrassing to those around them. One girl, obsessed with digital watches, grabs the arms of strangers to look at their wrists. For unexplained reasons, people with autism demand consistency in their environment. Many insist on eating the same foods, at the same time, sitting at precisely the same place at the table every day. They may get furious if a picture is tilted on the wall, or wildly upset if their toothbrush has been moved even slightly. A minor change in their routine, like taking a different route to school, may be tremendously upsetting. Scientists are exploring several possible explanations for such repetitive, obsessive behavior. Perhaps the order and sameness lends some stability in a world of sensory confusion. Perhaps focused behaviors help them to block out painful stimuli. Yet another theory is that these behaviors are linked to the senses that work well or poorly. A child who sniffs everything in sight may be using a stable sense of smell to explore his environment. Or perhaps the reverse is true: he may be trying to stimulate a sense that is dim. Imaginative play, too, is limited by these repetitive behaviors and obsessions. Most children, as early as age 2, use their imagination to pretend. They create new uses for an object, perhaps using a bowl for a hat. Or they pretend to be someone else, like a mother cooking dinner for her "family" of dolls. In contrast, children with autism rarely pretend. 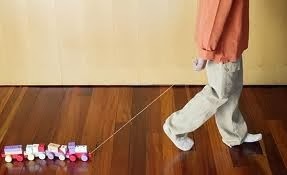 Rather than rocking a doll or rolling a toy car, they may simply hold it, smell it, or spin it for hours on end. When children's perceptions are accurate, they can learn from what they see, feel, or hear. On the other hand, if sensory information is faulty or if the input from the various senses fails to merge into a coherent picture, the child's experiences of the world can be confusing. People with autism seem to have one or both of these problems. There may be problems in the sensory signals that reach the brain or in the integration of the sensory signals-and quite possibly, both. Apparently, as a result of a brain malfunction, many children with autism are highly attuned or even painfully sensitive to certain sounds, textures, tastes, and smells. Some children find the feel of clothes touching their skin so disturbing that they can't focus on anything else. For others, a gentle hug may be overwhelming. Some children cover their ears and scream at the sound of a vacuum cleaner, a distant airplane, a telephone ring, or even the wind. In autism, the brain also seems unable to balance the senses appropriately. Some children with autism seem oblivious to extreme cold or pain, but react hysterically to things that wouldn't bother other children. A child with autism may break her arm in a fall and never cry. Another child might bash his head on the wall without a wince. On the other hand, a light touch may make the child scream with alarm. In some people, the senses are even scrambled. One child gags when she feels a certain texture. A man with autism hears a sound when someone touches a point on his chin. Another experiences certain sounds as colors. Some people with autism display remarkable abilities. A few demonstrate skills far out of the ordinary. At a young age, when other children are drawing straight lines and scribbling, some children with autism are able to draw detailed, realistic pictures in three-dimensional perspective. Some toddlers who are autistic are so visually skilled that they can put complex jigsaw puzzles together. Many begin to read exceptionally early-sometimes even before they begin to speak. Some who have a keenly developed sense of hearing can play musical instruments they have never been taught, play a song accurately after hearing it once, or name any note they hear. Like the person played by Dustin Hoffman in the movie Rain Man, some people with autism can memorize entire television shows, pages of the phone book, or the scores of every major league baseball game for the past 20 years. However, such skills, known as islets of intelligence or savant skills are rare. To date, there are no medical tests like x-rays or blood tests that detect autism. And no two children with the disorder behave the same way. In addition, several conditions can cause symptoms that resemble autism symptoms. So parents and the child's pediatrician need to rule out other disorders, including hearing loss, speech problems, mental retardation, and neurological problems. But once these possibilities have been eliminated, a visit to a professional who specializes in autism is necessary. Such specialists include people with the professional titles of child psychiatrist, child psychologist, developmental pediatrician, or pediatric neurologist. Child Autism specialists use a variety of methods to identify the disorder. Using a standardized rating scale, the specialist closely observes and evaluates the child's language and social behavior. A structured interview is also used to elicit information from parents about the child's behavior and early development. Reviewing family videotapes, photos, and baby albums may help parents recall when each behavior first occurred and when the child reached certain developmental milestones. The specialists may also test for certain genetic and neurological problems. Specialists may also consider other conditions that produce many of the same behaviors and symptoms as autism, such as Rett's Disorder or Asperger's Disorder. Rett's Disorder is a progressive brain disease that only affects girls but, like autism, produces repetitive hand movements and leads to loss of language and social skills. 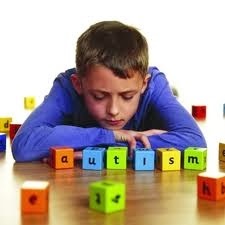 Children with Asperger's Disorder are very like high-functioning children with autism. Although they have repetitive behaviors, severe social problems, and clumsy movements, their language and intelligence are usually intact. Unlike autism, the symptoms of Asperger's Disorder typically appear later in childhood. repetitive behaviors, interests, and activities. 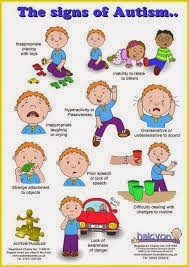 People with autism generally have some impairment within each category, although the severity of each symptom may vary. The diagnostic criteria also require that these symptoms appear by age 3. However, some specialists are reluctant to give a diagnosis of autism. They fear that it will cause parents to lose hope. As a result, they may apply a more general term that simply describes the child's behaviors or sensory deficits. "Severe communication disorder with autism-like behaviors," "multi-sensory system disorder," and "sensory integration dysfunction" are some of the terms that are used. Children with milder or fewer symptoms are often diagnosed as having Pervasive Developmental Disorder (PDD). Although terms like Asperger's Disorder and PDD do not significantly change treatment options, they may keep the child from receiving the full range of specialized educational services available to children diagnosed with autism. They may also give parents false hope that their child's problems are only temporary. Can Social Skills and Behavior Be Improved? A number of treatment approaches have evolved in the decades since autism was first identified. Some therapeutic programs focus on developing skills and replacing dysfunctional behaviors with more appropriate ones. Others focus on creating a stimulating learning environment tailored to the unique needs of children with autism. Researchers have begun to identify factors that make certain autism treatment programs more effective in reducing- or reversing-the limitations imposed by autism. Treatment programs that build on the child's interests, offer a predictable schedule, teach tasks as a series of simple steps, actively engage the child's attention in highly structured activities, and provide regular reinforcement of behavior, seem to produce the greatest gains. Parent involvement has also emerged as a major factor in the success of autism treatments. Parents work with teachers and therapists to identify the behaviors to be changed and the skills to be taught. Recognizing that parents are the child's earliest teachers, more programs are beginning to train parents to continue the therapy at home. Research is beginning to suggest that mothers and fathers who are trained to work with their child can be as effective as professional teachers and therapists. Professionals have found that many children with autism learn best in an environment that builds on their skills and interests while accommodating their special needs. Programs employing a developmental approach provide consistency and structure along with appropriate levels of stimulation. For example, a predictable schedule of activities each day helps children with autism plan and organize their experiences. Using a certain area of the classroom for each activity helps students know what they are expected to do. For those with sensory problems, activities that sensitize or desensitize the child to certain kinds of stimulation may be especially helpful. Illustration of young girl who is happily stringing beads In one developmental preschool classroom, a typical session starts with a physical activity to help develop balance, coordination, and body awareness. Children string beads, piece puzzles together, paint and participate in other structured activities. At snack time, the teacher encourages social interaction and models how to use language to ask for more juice. Later, the teacher stimulates creative play by prompting the children to pretend being a train. As in any classroom, the children learn by doing. Although higher-functioning children may be able to handle academic work, they too need help to organize the task and avoid distractions. A student with autism might be assigned the same addition problems as her classmates. But instead of assigning several pages in the textbook, the teacher might give her one page at a time or make a list of specific tasks to be checked off as each is done. When people are rewarded for a certain behavior, they are more likely to repeat or continue that behavior. Behaviorist training approaches are based on this principle. When children with autism are rewarded each time they attempt or perform a new skill, they are likely to perform it more often. With enough practice, they eventually acquire the skill. For example, a child who is rewarded whenever she looks at the therapist may gradually learn to make eye contact on her own. Dr. O. Ivar Lovaas pioneered the use of behaviorist methods for children with autism more than 25 years ago. His methods involve time-intensive, highly structured, repetitive sequences in which a child is given a command and rewarded each time he responds correctly. For example, in teaching a young boy to sit still, a therapist might place him in front of chair and tell him to sit. If the child doesn't respond, the therapist nudges him into the chair. Once seated, the child is immediately rewarded in some way. A reward might be a bit of chocolate, a sip of juice, a hug, or applause-whatever the child enjoys. The process is repeated many times over a period of up to two hours. Eventually, the child begins to respond without being nudged and sits for longer periods of time. Learning to sit still and follow directions then provides a foundation for learning more complex behaviors. Using this approach for up to 40 hours a week, some children may be brought to the point of near-normal behavior. Others are much less responsive to the treatment. However, some researchers and therapists believe that less intensive autism treatments, particularly those begun early in a child's life, may be more efficient and just as effective. Illustration of girl sitting in supermarket shopping cart, pointing to one of two objects in her father's hands So, over the years, researchers sponsored by NIMH and other agencies have continued to study and modify the behaviorist approach. Today, some of these behaviorist treatment programs are more individualized and built around the child's own interests and capabilities. 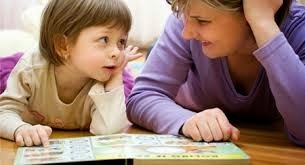 Many programs also involve parents or other non-autistic children in teaching the child. Instruction is no longer limited to a controlled environment, but takes place in natural, everyday settings. Thus, a trip to the supermarket may be an opportunity to practice using words for size and shape. Although rewarding desired behavior is still a key element, the rewards are varied and appropriate to the situation. A child who makes eye contact may be rewarded with a smile, rather than candy. NIMH is funding several types of behaviorist treatment approaches to help determine the best time for autism treatment to start, the optimum treatment intensity and duration, and the most effective methods to reach both high- and low-functioning children. Facilitated Communication, which assumes that by supporting a nonverbal child's arms and fingers so that he can type on a keyboard, the child will be able to type out his inner thoughts. Several scientific studies have shown that the typed messages actually reflect the thoughts of the person providing the support. Holding Therapy, in which the parent hugs the child for long periods of time, even if the child resists. Those who use this technique contend that it forges a bond between the parent and child. Some claim that it helps stimulate parts of the brain as the child senses the boundaries of her own body. There is no scientific evidence, however, to support these claims. Auditory Integration Training, in which the child listens to a variety of sounds with the goal of improving language comprehension. Advocates of this method suggest that it helps people with autism receive more balanced sensory input from their environment. When tested using scientific procedures, the method was shown to be no more effective than listening to music. Dolman/Delcato Method, in which people are made to crawl and move as they did at each stage of early development, in an attempt to learn missing skills. Again, no scientific studies support the effectiveness of the method. It is critical that parents obtain reliable, objective information before enrolling their child in any autism treatment program. Programs that are not based on sound principles and tested through solid research can do more harm than good. They may frustrate the child and cause the family to lose money, time, and hope. Parents are often disappointed to learn that there is no single best treatment for all children with autism; possibly not even for a specific child. Even after a child has been thoroughly tested and formally diagnosed, there is no clear "right" course of action. The diagnostic team may suggest methods of autism treatments and service providers, but ultimately it is up to the parents to consider their child's unique needs, research the various options, and decide. Above all, parents should consider their own sense of what will work for their child. Keeping in mind that autism takes many forms, parents need to consider whether a specific program has helped children like their own. Trestment for Autism: Medications are Available, How Do Families Learn to Cope?